CANactions seeks to enhance the creation of places and communities in Ukraine where people love to live and work. CANactions integrates the most relevant world experience in the sphere of architecture and urbanism to educate and inspire responsibility active change makers. For this moment, CANactions is a member of Future Architecture Platform. Since 2008, the International Architecture Festival CANactions has become the biggest educational event in the sphere of Architecture and Urbanism in Ukraine and neighboring countries. 2018 is the 11th time the Festival is about to be held. The topic of this year’s festival is CONNECTIONS. 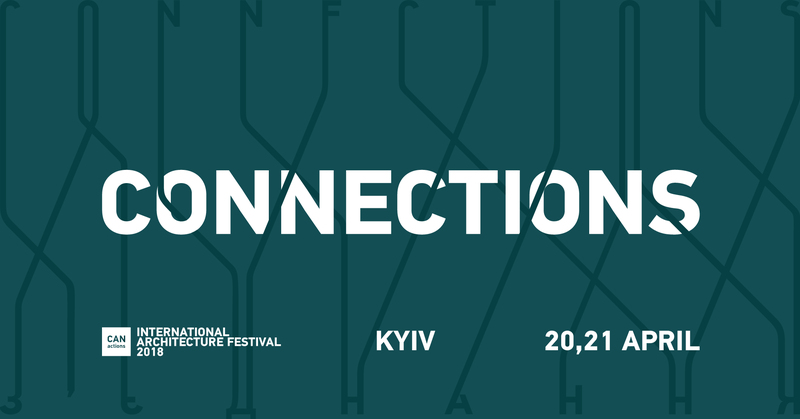 Festival 2018 gathers the best world architecture festivals and forums as partners and co-organizers, who will curate one event/format within a two-day program in Kyiv. It will be masterclasses, workshops, discussions, competitions, city tours etc. Such cooperation is aimed to raise a number of important issues that can become a platform for future joint projects and new possibilities not only for the organizations themselves and the audience of the festival, but also for wider circle of professionals and communities. Among participated organizations are London Festival of Architecture, Copenhagen Architecture Festival, New Generations (Italy), Urban Forum Almaty, EASA and others. With the key-speeches provided by well-known international experts, current exhibitions, workshops and film screenings, we aim to create the conditions for sharing ideas and dialogue in the sphere of modern architecture and urban development. Our main purpose is to capture the attention of the people for the ideas, thoughts, approaches and world experience in the sphere of architecture and urban development. It may be attained through collective efforts and team actions of everyone who acts or is interested in urban development all over the world. CANactions participants can provide for world community with an important source of human and intellectual capital, experience, international connections and influx of new ideas and values. joixodjt,Some really nice stuff on this website, I enjoy it. njvcbxpmnk,This website truly has alll of the information and facts I wanted about this subject and didn?t know who to ask. lazoklqd New Yeezy,Waw! Its really great and wonderful ever i found. Thank you for sharing this info. pqfjjyxn,We have a team of experts who could get you the correct settings for Bellsouth net email login through which, you can easily configure your email account with MS Outlook.